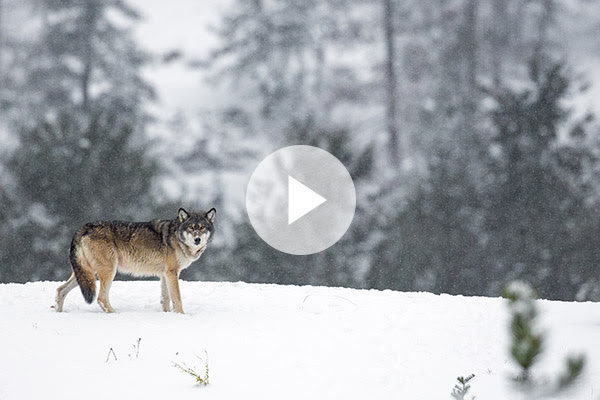 EXPOSED with John E. Marriott, Episode 3: Canada's War on Wolves, the Alberta Wolf Cull is now online! Join John for an in-depth look at Alberta's controversial wolf cull in Episode 3 online at www.exposedwithjohnemarriott.com For eleven years the Alberta government has murdered thousands of wolves in the Little Smoky region east of Grande Cache by every means possible, all in the name of conserving caribou. John takes you along with him into the heart of the Little Smoky and uncovers the grisly truths behind Alberta's wolf cull and suggests what really needs to be done to save the woodland caribou in Alberta and beyond. And thank you everyone for the incredible support for Episode 1: Stop the BC Grizzly Trophy Hunt and Episode 2: Grizzlies of the Khutzeymateen, we've had over 50,000 people watch each of them already! You can view all of the episodes, including the Meet John E. Marriott introduction, online on the website, www.exposedwithjohnemarriott.com or on our new YouTube channel, EXPOSED with John E. Marriott. You can also follow along with our new Facebook page dedicated to the show.